The vast internet space can be a hard terrain to navigate, with multiple pockets of harmful spyware looking to steal your private information. It could be anything: from casually browsing on a website only to end up with spyware injected into your computer to ad networks serving you unwanted targeted ads. And there’s almost no way out. Now, you may argue that it’s the main reason behind installing anti-virus software – to detect such harmful software and make online surfing secure. However, you will be surprised to know that your online security goes way beyond using an antivirus or a firewall. This is because spyware is meant to operate incognito, which makes it almost impossible to establish whether a particular website has sufficient security in place before clicking on it. This article will explain what is website security and how you can safely browse the internet. As the name suggests, secure browsing entails using special security architecture to access the internet with minimal threat from different kinds of cyber attacks. Basically, secure browsing is supported by a number of tools and resources developed by web browser providers and other tech companies. For instance, there is the Privacy options, Adblock Plus, and NoScript for Mozilla. 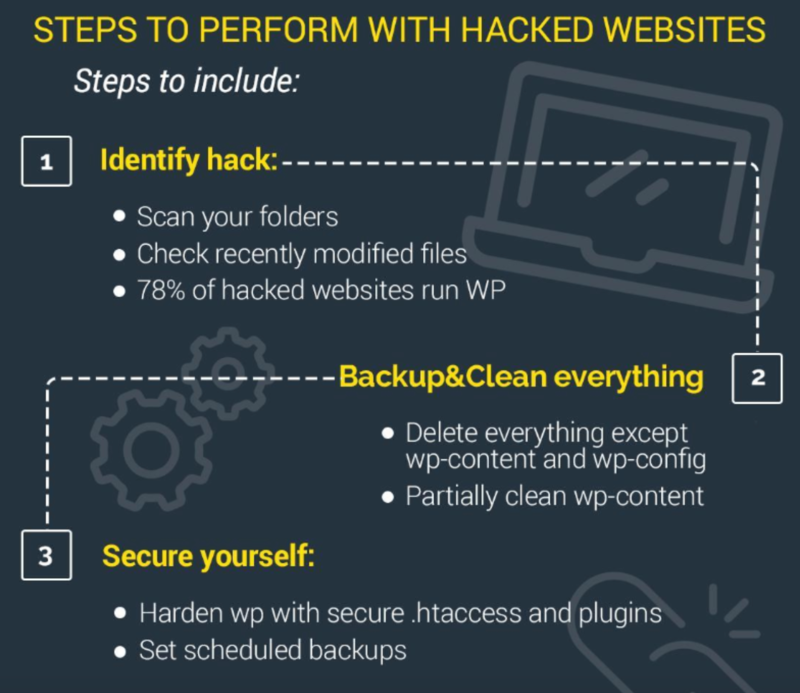 On the other hand, website protection involves actions taken to shield website data from cyber criminals or avoid its exploitation in any way. For instance, small private companies that don’t have the financial muscle to wrestle with big corporations can hire a full stack development company to address any security issues and build solutions to counter the threats accordingly. To illustrate the seriousness that online browsing should be treated with: it’s estimated that in every 39 seconds there is a cyber attack is happening. Even more worrying, it’s estimated that data breaches will cost businesses more than $2 trillion in 2019 alone. Besides various cloud security challenges (which are a whole other topic for a different piece), there are multiple threats you can face while using the web. Here are the most common ones that you are likely to face, or may have already encountered. This type of attacks slow or totally cripple a website, rendering it inaccessible to visitors. They normally occur when the bandwidth or a specific system is flooded with internet traffic. Simply put, it’s like cars clogging a highway and preventing vehicles from the feeder roads from joining. Short for “malicious software,” this is one of the most common threats that cyberattackers deploy. It’s designed to steal or gain access to sensitive customer data or site, spread malware further on, and much more. You may have come across a pop-up window parading an alert or security update. At face value, it may seem like a legitimate notification prompting you to install an “update” or “remove” unwanted malware apparently detected. However, this could very well turn out to be a rogue security software intended to lure you into downloading and installing actual malicious software. You can potentially introduce Trojan horse software to your computer simply by downloading an infected application. Once installed on your computer, it conducts a myriad of harmful activities like hijacking the webcam, recording your passwords, and many other things. This type of attack completely hijacks and overhauls your website content, replacing it with malicious content. Hiding your IP address is by far one of the best ways to browse safely online. Typically, all the information to and from your device is compiled into minimalistic readable data packets, making it hard for external parties to read and trace your IP. VPN works by hiding your IP address and creating a dedicated tunnel for your online traffic, at the same time encrypting the data with sophisticated protocols, e.g. AES-256. As a result, online hackers or spies will have a hard time even contemplating what you are doing or where you are doing it from. All is not lost if you can’t afford a VPN. Depending on the internet browser of your choice, your online presence is shielded against phishing and social engineering malware. For instance, a test report by NSS Labs has shown that the new Microsoft’s Edge browser can block 99% of malicious samples thrown in its way. Google Chrome, on the other hand, is capable of countering up to 85.9% closely followed by Mozilla Firefox with 78.3%. Microsoft’s high blocking rate has been a result of utilizing Application Reputation Filtering and SmartScreen URL technologies in their browser. Essentially, they probe every URL and conduct website security evaluation before allowing you to download anything. Also, there are plenty of specialized web browsers like Private Browser that are designed specifically to grant users top-of-their-game security and privacy. Definitely check out those too if you need more protection than mainstream browsers are capable of. Countless online websites and platforms purport to provide users with free software. The problem with downloading from such unreliable sites is that you can’t evaluate the website’s security compliance, ultimately sacrificing your online security. After all, whenever someone gives you something for free you should at least wonder how, then, they’re paying their bills. Well, there are genuine free online offers, although you still have to give something in exchange, rightly so. However, you may occasionally find hackers releasing their paid software apps and tagging along “freebies”. As soon as you click the files, the malefactors easily gain backdoor access to your device or system. If you use a private computer to browse and store sensitive data, refrain from downloading things from warez websites. Instead, download from the official, trustworthy stores, or even the original developer’s websites. Temptation to download for free may be strong, but you also need to consider all the benefits and consequences. We all love speedy browsing sessions. It’s for this reason that we occasionally save browsing history and credentials to avoid any unnecessary hindrances in the future. However, this can backfire in the long run as it slows down the browser. What’s worse, saving your personal credentials such as emails, contacts, and passwords leaves you exposed to potential threats in case of cyber attacks. To avoid this, ensure you don’t leave online footprints by clearing cookies and cache, especially when using public computers. HyperText Transfer Protocol Secure is a variant of the typical web transfer protocol. It simply works by adding an extra layer of security to the data in transit via SSL or TLS protocol connection. 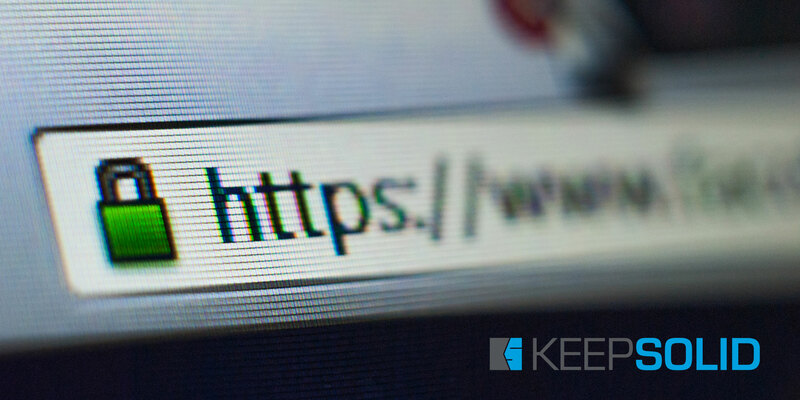 Appearing as a padlock at the left-hand corner of the address bar, HTTPS encrypts your traffic on its way to the website even when using a public Wi-Fi network. Most, if not all websites are HTTPS-enabled, making it almost impossible for cybercriminals to steal, intercept, or modify your data while in transit. Getting yourself an antivirus is always a bright idea. However, operating an antivirus that’s stale and outdated website security-wise leaves you exposed and vulnerable to cyber attacks. The best and easiest way to keep your antivirus up to the challenge is setting the “Auto Update On”. Some of the best internet security software include Kaspersky, MacAfee, Bitdefender, and Norton. Lastly, ensure you keep tabs on all the alerts and notifications from the program. Otherwise, you could end up skipping an important update or even a window of opportunity to detect a potential threat. A few years back, common plugins like Java and Flash dominated the airwaves. Fast forward to today, such plugins have long been antiquated by HTML5 due to their vulnerabilities and multiple bugs. If you don’t use such redundant and pretty much derelict plugins, consider removing them. Simply leaving them in place leaves you at a higher risk of attack given they expand your online footprint. Additionally, to improve your online browsing experience, some browsers require you to run add-ons and extensions. For instance, if you are installing a gaming app, it may require access to your email or Facebook profile. It’s a well-known fact that they are properly vetted, but it wouldn’t come as a surprise to find bad elements seeping through the cracks. Right off the bat, customizing your settings can make browsing more secure by reducing the “attack surface”. For instance, turning off cookies improves your privacy. On the other side of the scale, fiddling with even simple settings like autofill could mean sacrificing convenience, especially when you have to manually fill web page forms. All said and done, you should never compromise with spammy ads and popups. Simply turning on the block popup windows feature will help you avert pesky ads from invading your screen when browsing. 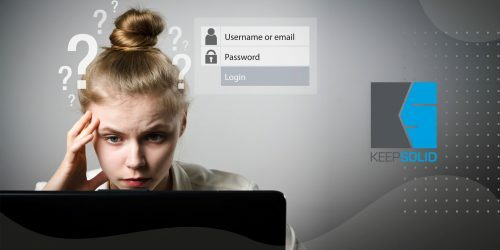 As you may already know, creating strong passwords is probably the easiest way to protect your data and online accounts against cybercriminals. And still, simple passcodes or reusing previously compromised passwords continues to be a festering problem in implementing online security and website protection policies. Using password managers helps you store your sensitive data in an encrypted vault created either on a computer or cloud storage. This is much safer compared to writing down your passwords on a small sticky note or in a text document. Not to mention, you can also deploy random password generators for different components in the encrypted vault and a strong master passcode to protect it all. Most wireless routers require you to log in using a password before accessing the network. Although it can be frustrating requesting everyone for the password, it’s extremely important in keeping online spooks out. Free WiFi networks give hackers a leeway to potentially breach into users’ devices. As such, if you must connect to an open public WiFi hotspot, it’s better to use a VPN. However, the more you can avoid them altogether, the better off you are. That’s it for today! As you can see, browsing securely and protecting your website is not a matter of waking up, pulling up some secret knowledge, and beginning your virtual journey. Instead, it’s a sensitive matter that operates on the envelope’s edge where carelessness isn’t tolerated. With that said, it’s important to mention that the tips listed above aren’t the ultimate blueprint for your online security. Having a holistic view of how cybercriminals operate in the realms of the internet will significantly reduce or increase your vulnerability. With the ever-evolving nature of Web-based malware and mobile devices, it would be lackadaisical to think that cyber attacks will go away anytime soon. Have a VPN network because I have been a victim of hackers telephoneing me, like fixing my laptop top computer, told him that I haven’t got one and can’t afford it, people phoning me at night, so had to block them off. What you’ve described seems to be a phone or technical support scam, and you’ve been quite security aware not to fall for it. Good job! Using VPN does help to strengthen your defense, not letting you become victim of many cyber threats like rogue hotspots, man-in-the-middle-attacks, identity thefts etc. For more security and privacy-related articles, visit our KeepSolid VPN Unlimited blog. And make sure to subscribe to our monthly digest and you’ll get our top pieces right into your inbox!